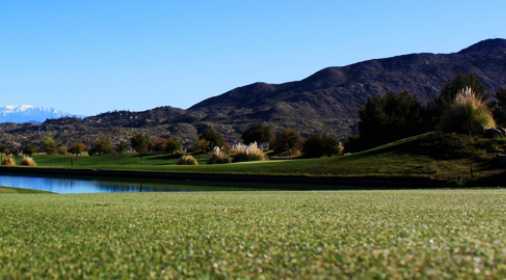 Diamond Valley Golf Club is an easy drive into Hemet Valley from a number of locations including San Diego, Orange County, and Los Angeles. 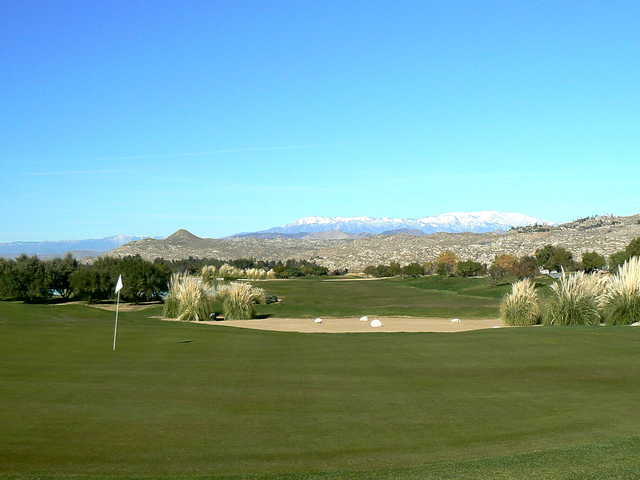 Though it's easily accessible, the course is tucked away in the San Jacinto Mountains, offering a feel of peaceful seclusion. The layout encompasses a variety of terrain, from scenic waterscapes to lush, rolling hills covered with native plants and grasses. 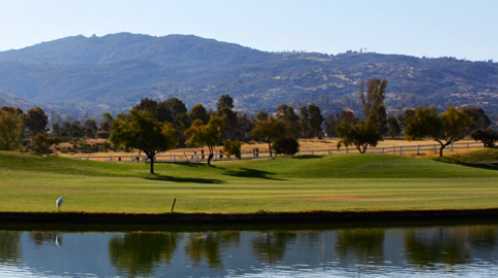 With dramatic elevation changes from tee to green, this course isn't walker friendly, which can easily be overlooked if you're looking for a truly formidable test. The sloping nature of the landscape lends a different character to each hole and the elevated tees provide panoramic views of the surrounding mountains. One of Diamond Valley Golf Club's most memorable holes is the par-3 17th. It's as scenic as it is challenging, requiring a short iron to wedge shot over a cascading waterfall. 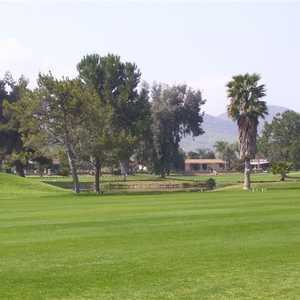 I played golf at Diamond Valley on Thursday, April 12 and the course was in good shape. The greens were rolling good and the Burmuda fairways were green.